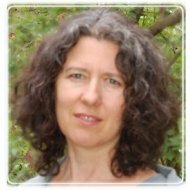 Brookline Therapist: Marjorie Siegel - Therapist 02446. Send A Message To Marjorie. Every therapeutic relationship is unique, reflecting the strengths and challenges a client brings to his or her therapist. I believe that therapy is teamwork. Together, we will work toward your goals based on a pace that is most comfortable for you. The ways in which we will work together, will become an additional and unique opportunity for increasing self-awareness. I believe that lifelong problems can change through careful listening and gently encouraging persevering through difficult and confusing times. I am told by my clients that I am warm and help them to feel safe and comfortable. Starting with your first visit, we will create an environment where you feel validated and supported. Together, we will observe patterns and feelings as they arise to help you develop more authentic and satisfying relationships. We will work together for positive change. I have been a psychotherapist for over fifteen years. I am a graduate of the Massachusetts Institute for Psychoanalysis and a fully trained EMDR clinician. I served as president of the Massachusetts Association for Psychoanalytic Psychology, at the time, the only social worker elected to that position.